Google Street View lets you go back in time to see older satellite images. You can make a before and after of basically anything. 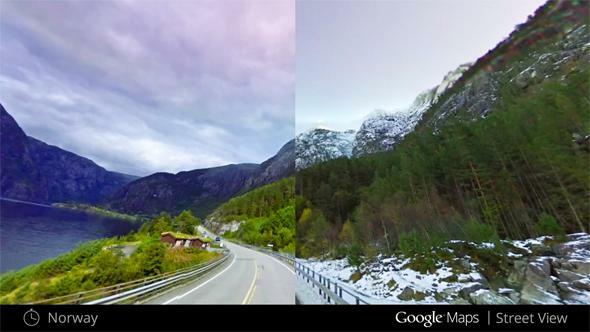 Google wants you to have this feeling whenever you want, so the company has taken data from Street View going back to 2007 and made it available alongside the current images. Starting Wednesday, anywhere you see a clock in the upper left corner of Street View on desktop, you can click to get a slider that will bring you back in time. You can slide through the years of available data for that place and see buildings rise and fall, seasons come and go, or landscapes change. 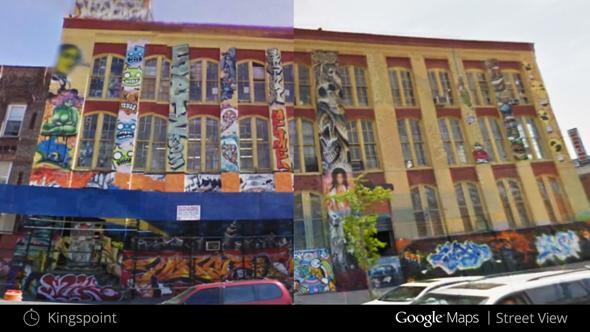 If Google has the lasting power to still be providing Street View in 100 years, you’ll be able to make a then and now of basically any place you want. And you’ll still be alive to do it because clearly in the future we’re all gonna be immortal. 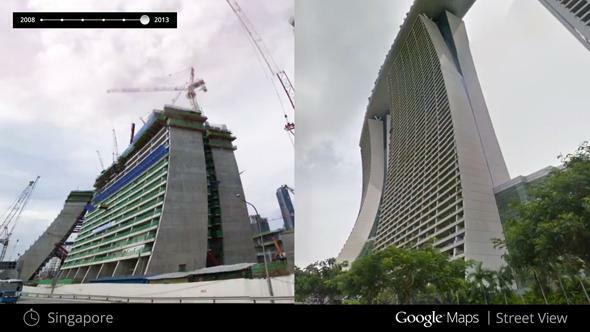 Vinay Shet, Street View’s product manager, highlights construction of the Freedom Tower in New York City and the World Cup Stadium in Fortaleza, Brazil, as two landmarks that are good for experimenting with the new feature. 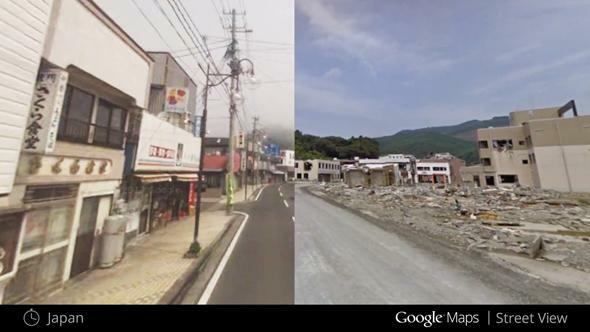 He also points out that the time slider allows you to easily see before and afters of Onagawa, which was devastated by Japan’s 2011 earthquake and tsunami. “You can stay where you are and use Google Maps to virtually explore the world as it is—and as it was,” he says. The feature is largely a novelty right now since it only has about five years of images, but as the Street View database grows, it could become a valuable tool for research, and a digital braintrust for how time moves. From Google’s perspective, it’s valuable data to own. If we’re going to time travel, it’s probably wise to start small.